iPod Recovery Software easily recovers all lost videos as well as audios from iPod music player device. 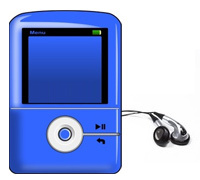 iPod recovery program retrieves deleted mp3/mp4 songs from any iPod music device. iPod data recovery program supports all major ipod models including iPod mini, shuffle, iPod Nano, iPod home stereo, iPod U2 and other latest iPod Music player. iPod data recovery software provides advance disk scan facility to recover music files from Apple ipod music device even when ipod partition volume is completely unrecognized by PC. ◉ Restore mp3/mp4 files from Apple iPod music player device. 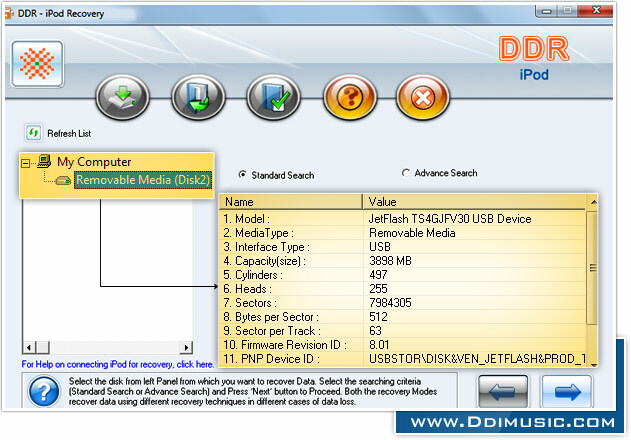 ◉ Recover data even when system generated error message is displayed on your PC while accessing iPod Device. ◉ Save recovered music files at user specified secure location on PC. ◉ Scan ipod device to restore corrupted songs due to virus infection.